Optiflow system. A: Cannula. B: Heated delivery tube. C: Heated humidifier. D: Laptop interface. E: Pressure transducer. 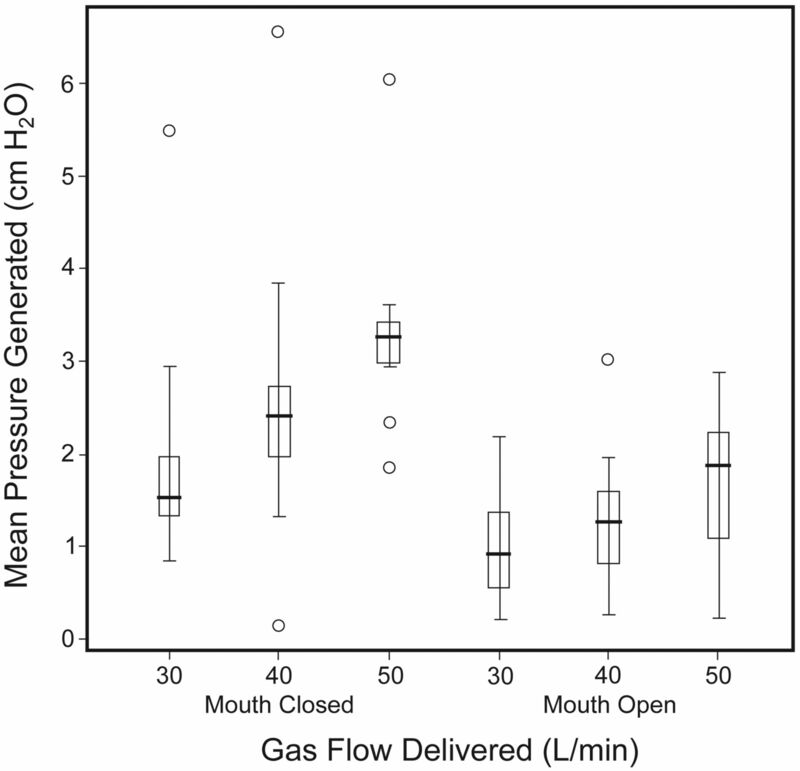 Mean nasopharyngeal pressure during high-flow oxygen therapy, with mouth open or closed. The horizontal line in the middle of each box indicates the median, while the top and bottom borders of the box mark the 75th and 25th percentiles, respectively. The whiskers above and below the box mark the 90th and 10th percentiles. The points beyond the whiskers are outliers beyond the 90th or 10th percentiles. 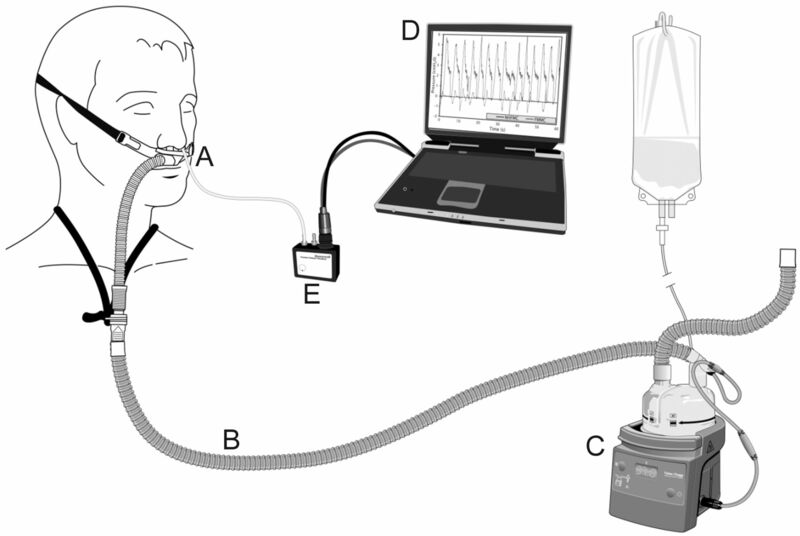 Regression analysis of mean nasopharyngeal pressure during high-flow oxygen therapy, with mouth open or closed. 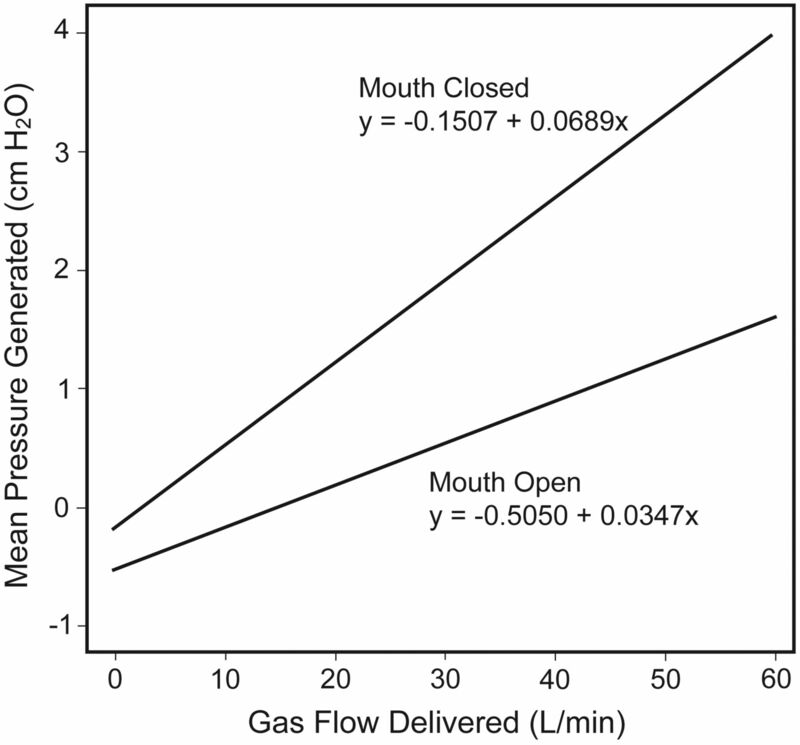 Example airway pressure profiles from one patient, with mouth open or mouth closed, at flows of 30, 40, and 50 L/min.